Schiefler/Mosel/Urban H iii/iii. One of about 7 impressions. 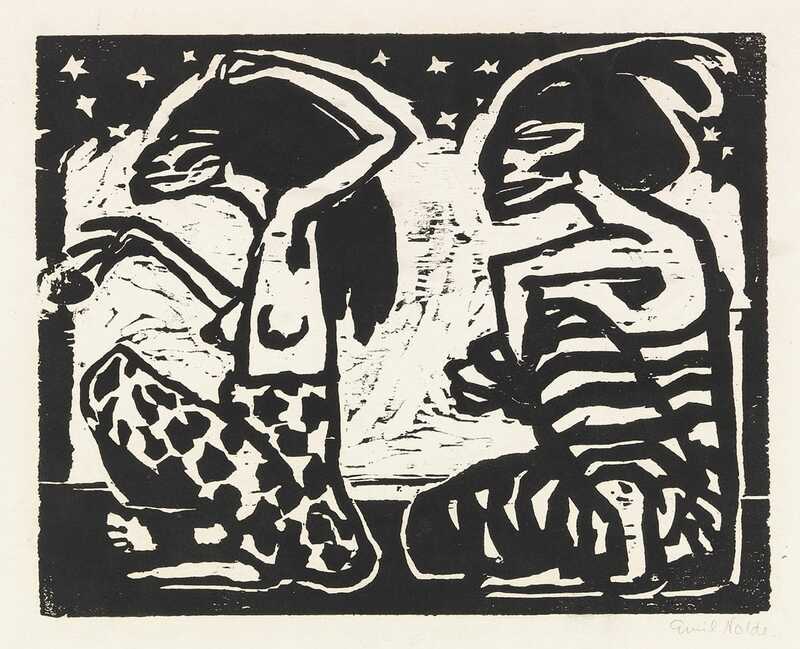 Nolde’s famous woodcut “Mann und Weibchen” is extremely rare, especially in such fine original condition, and was printed in only about seven impressions, according to Nolde’s cataloguers. The artist developed an interest in the South Seas and its aboriginal people even before visiting the area in 1913-1915. He made numerous sketches of masks and figures exhibited at the Berlin Museum of Ethnology and perhaps saw Berlin’s visiting natives from exotic regions of the world. He also used this composition for a painting of the same title, (Urban 515), which was expropriated as degenerate from the Museum Folkwang in 1937.